As long as I've known Katy, I've always admired what a relaxed, sweet mama she is. 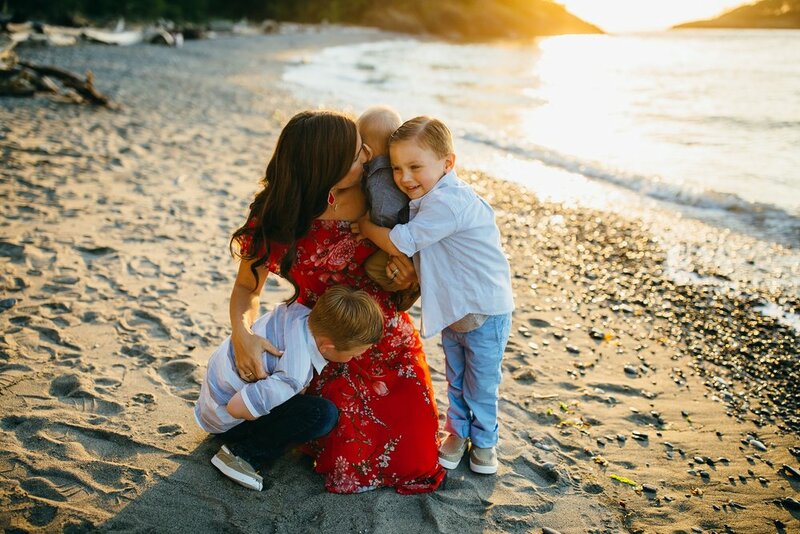 Her three vibrant boys keep her on her toes as they run (and crawl) circles around her, but she's got it all under control, even when hubby Ben is away on dets and deployments. 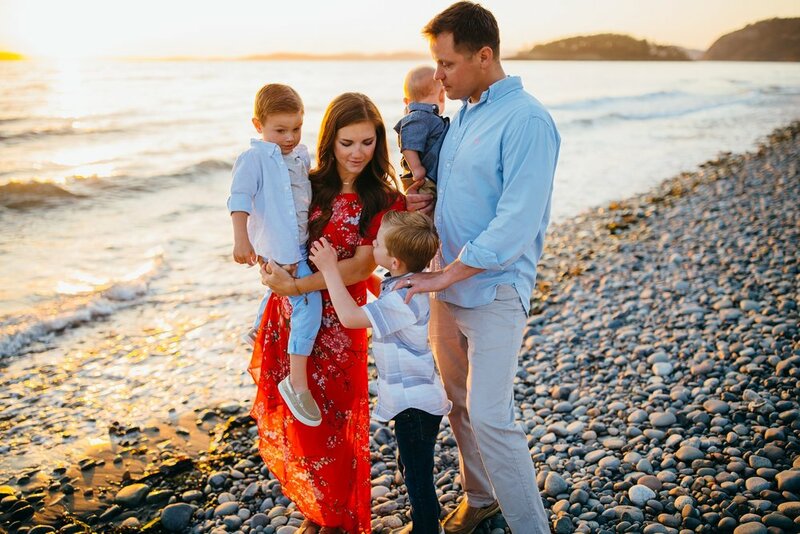 We had such a perfect night and incredible sunset to highlight this family's love and connection to each other. And I love how the warmth of the sun made Katy's dress glow - isn't she gorgeous? 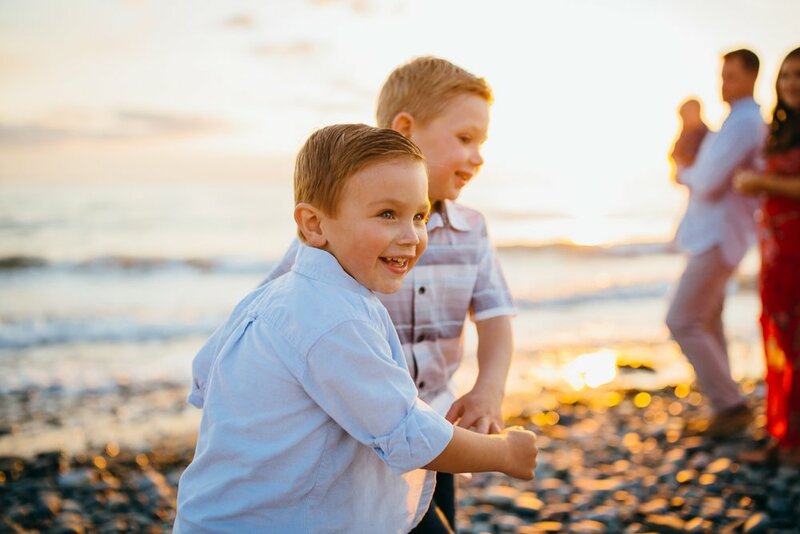 The boys were such troopers and had so much fun "hiking," throwing giant rocks in the water, and playing pat-a-cake with their baby brother. 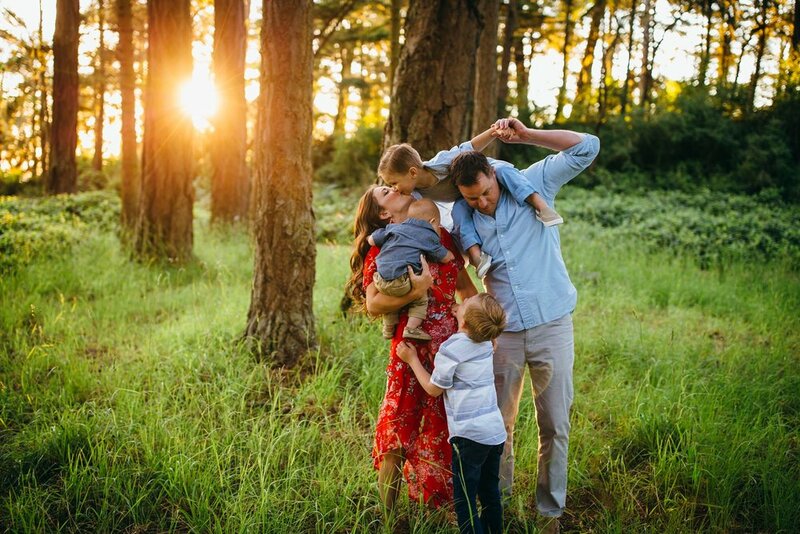 Have you booked your family photos yet? 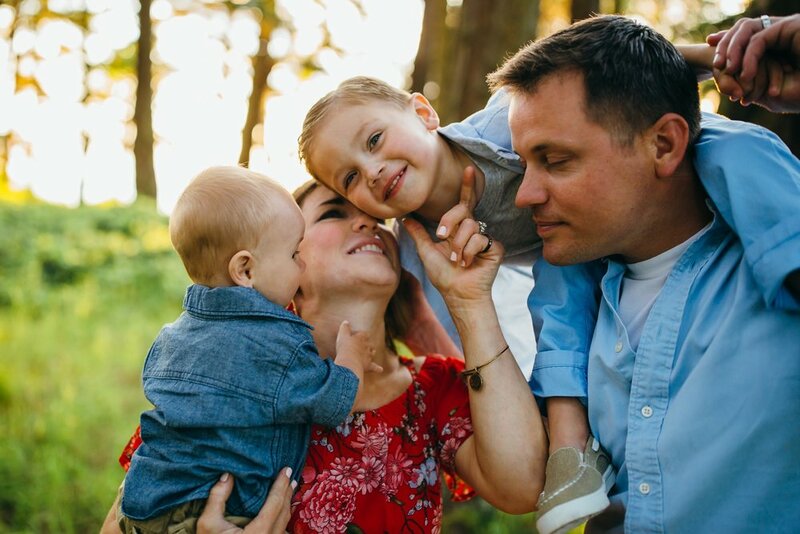 Summer is my favorite time to shoot on Whidbey, as the weather is pretty spectacular through September. My calendar is alllllllmost full for the summer, but if you'd like to snag a session, hit me up! I'd love to chat and answer any questions you have. 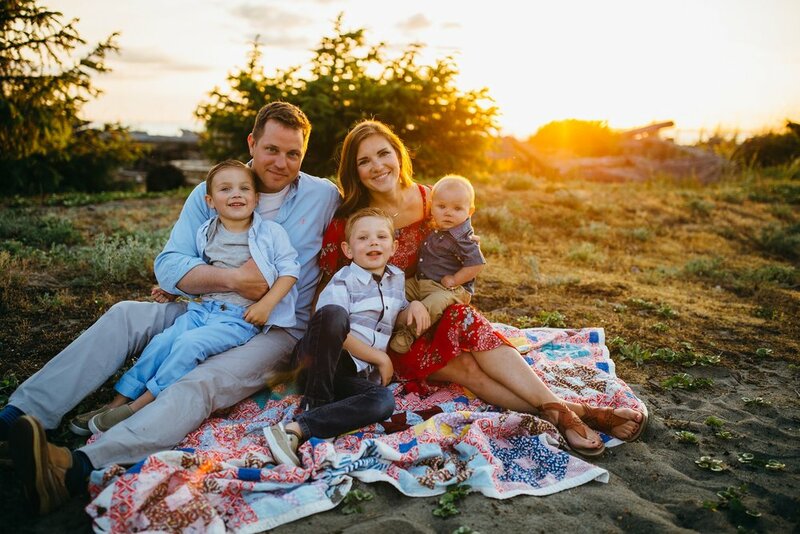 And remember - I make family pictures as stress-free as possible, helping you pick the perfect location and wardrobe, and giving you connection prompts throughout your session. We have fun - that's a promise!